All patients are offered a pregnancy test, for which there is a €15 charge. If you have done a few pregnancy tests at home yourself and you are happy this may not be necessary. If you have only just missed a period and the pregnancy test is negative you are advised to do a pregnancy test yourself on the first urine of the morning and repeat in 48 hours; alternatively we can do it for you. Your EDD is calculated as 280 days from the first day of your last menstrual period (LMP). This service is free. You will be seen by a variety of doctors antenatally. Your baby will be delivered by a midwife, unless there is a complication where a doctor will then attend. This service is free. 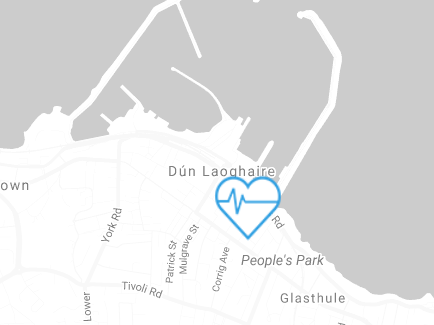 You will be seen by a select group of midwives in outlying clinics such as Dun Laoghaire. Your baby will be delivered in Holles Street by one of the Domino midwives. You can be assessed at home in early labour if needed and a doctor will be available in the event of complications. Home births are available in selected cases. The Rotunda Hospital also offers a community midwife scheme for women living in the vicinity of the hospital. You need to contact your health insurance company directly to confirm what costs will be covered by them. Your consultant will endeavour to be present at your delivery, if not possible another consultant will attend. Combined care with the Womens Health Clinic is offered to all women free of charge. This can be done in conjunction with any of the above options. The Womens Health Clinic is proud to be part of the maternity and infant care scheme. You have the choice of sharing your antenatal and postnatal care between your GP and your chosen maternity hospital. This option is commonly known as Shared Care or Combined Care. Typically, you will attend here for six antenatal visits and two postnatal visits, and attend your maternity hospital for six antenatal visits. All pregnancy-related GP visits provided as part of the programme are free-of-charge. If you wish to avail of the scheme, application forms are available at the clinic, which you can complete and return to reception. As soon as pregnant Visit G.P. All babies should be seen by the G.P. at two weeks and six weeks. The mother should be seen by the G.P. at six weeks. Currently antenatal screening for chromosomal abnormalities such as Down’s Syndrome are not offered during pregnancy. The screening consists of an ultrasound scan of the baby’s neck and a blood test from the mother. These tests should be done only in specialist units such as those listed below. They also need to be done before 13 completed weeks gestation. Chorionic villus sampling (CVS) is usually offered if the results of the antenatal screening tests suggest an abnormality. This is a simple procedure which is done under local anaesthetic and involves taking a small sample of placenta. However there is a risk of miscarriage with CVS of 1 in 100. The results are available approximately 5 days later. This test is now more commonly done than Amniocentesis. Antenatal screening is not covered by health insurance. Ideally conception should take place while on folic acid supplements. The dosage for women is 400mcg folic acid daily, unless there has been a prior history of spina bifida. The dosage should be 5gm daily in that case. If you are not already on folic acid when you find out you are pregnant it is important to start straight away. Exercise is important in pregnancy for lots of reasons. It promotes muscle tone, strength and endurance. This will help you carry the extra weight in pregnancy more easily, prepare you for the physical stress of labour and makes it easier for you to get back into shape after the baby is born. It also helps with constipation, backache, fatigue and swelling. If regular exercise has been part of your routine prior to getting pregnant then it is a great idea to continue with it. It is important not to overheat, particularly in the first trimester. It is also recommended that you should not do any exercise that involves lying on your back for any length of time, as it can interfere with blood flow to the baby. If you have not been exercising vigorously before getting pregnant you should not start when you are pregnant. Swimming and walking are ideal forms of gentle exercise. Combined care starts at 24 weeks and includes 5 further antenatal visits alternating with the hospital and two further postnatal visits at 2 and 6 weeks after delivery. Maternity Benefit is a payment made to women who are on maternity leave from work and covered by social insurance (PRSI). You should apply for the payment 6 weeks before you intend to go on maternity leave (12 weeks if you are self-employed). The amount of money paid to you each week will depend on your earnings. If you are already on certain social welfare payments then you will get half-rate Maternity Benefit. Maternity Benefit is paid directly to you on a weekly basis into your bank or building society account. Some employers will continue to pay an employee, in full, while she is on maternity leave and require her to have any Maternity Benefit paid to them. You should check your contract of employment to see what applies to you. Maternity Benefit is a tax-free payment. All employees must have their leave certified by their employer. However, if your contract of employment ends within 16 weeks of your expected date of confinement and you satisfy the social insurance (PRSI) conditions, Maternity Benefit is payable from the day after the date on your P45. Maternity Benefit is paid for 26 weeks. At least 2 weeks and not more than 16 weeks leave must be taken before the end of the week in which your baby is due. If your baby is born later than expected and you have less than 4 weeks maternity leave left, you may be entitled to extend your maternity leave to ensure that you have a full 4 weeks off following the week of the birth. In these circumstances Maternity Benefit will continue to be paid to you until the baby is 4 weeks old. You need to notify the Maternity Benefit Section of the Department of Social and Family Affairs by sending them a letter from your GP stating the date on which your baby was born. You can take a further 16 weeks unpaid maternity leave. This period is not covered by Maternity Benefit but you will be entitled to a credited social insurance contribution for each week of unpaid leave you take (up to the maximum of 16). If your baby is born prematurely (before your maternity leave is due to begin), you should have a letter sent from your doctor to the Maternity Benefit section of the Department of Social and Family Affairs. The letter should confirm the date the baby was born and that the baby was born prematurely. If you have a stillbirth or miscarriage anytime after the 24th week of pregnancy you are entitled to 26 weeks maternity leave, you are entitled to 26 weeks Maternity Benefit provided you have satisfied the social insurance (PRSI) requirements. If your baby is in hospital and you have been getting Maternity Benefit for at least 14 weeks (including at least 4 weeks since your baby was born) you can postpone payment of your remaining 12 weeks of benefit for up to 6 months. To postpone payment of your Maternity Benefit you need to apply in writing to the Maternity Benefit Section in the Department of Social and Family Affairs. When your baby is discharged from hospital you must notify the Maternity Benefit Section in writing and payment of your remaining 12 weeks Maternity Benefit will continue within seven days. Maternity Benefit is paid directly into your bank or building society account (this is known as a direct payment). Payment is made each week in advance. To apply fill in a Maternity Benefit application form six weeks before you intend to go on maternity leave and send it to the Maternity Benefit Section of the Department of Social and Family Affairs. If you are self-employed, you should apply at least 12 weeks before you intend to go on maternity leave. This form is also available by post at the address listed below.